Payment Terms: One Time Setup Fee + Monthly Maintenance Fee. For e-commerce based websites, we know how important it is to use advertising methods like Pay Per Click in a very cost effective way. 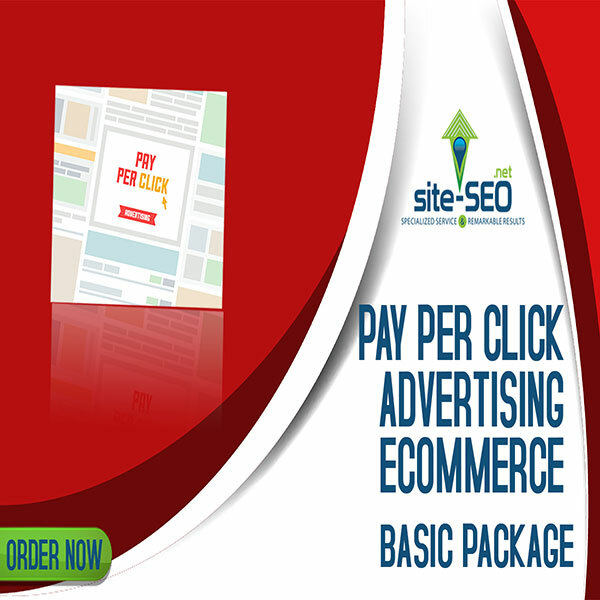 With the E-commerce basic package, our PPC advertising experts can help you to drive traffic to generate sales of your products or services quick and effective way, Pay Per Click Advertising–Ecommerce-Basic Package will be the best fit for your company. You will only pay when someone actually “clicks” on the advertisement. Get to have the guaranteed result without having to spend a lot. You can actually have control over your budget making it more flexible and easy to allocate for other marketing campaigns. The results are measurable since we will be providing you with data and insights that you can use to evaluate the campaign. For this Pay Per Click Adverting-Ecommerce-Basic Package you can spend up to $999 in Google Ads (You will pay directly to Google Ads your monthly spending) and choose up to 30 keywords. This package include:Phase I-II-III (One Time Setup Fee) plus One Month Maintenance Fee-Phase IV-V.